In January 1817, the Prince Regent survived an attack on his carriage as he was being driven to the opening of Parliament. 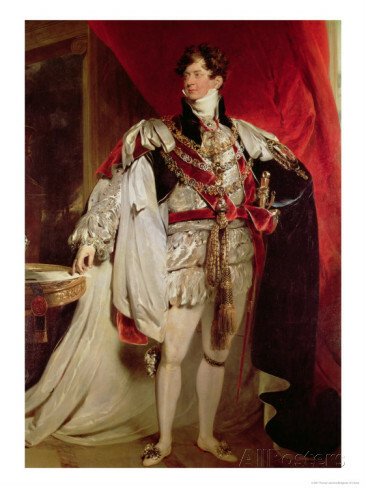 The Prince Regent, by Lawrence. The observation has been made that His Royal Highness resembles Ted Koppel. Merciful God, who, in compassion to a sinful Nation, hast defeated the designs of desperate Men, and hast protected from the base and barbarous assaults of a lawless multitude, the Regent of this United Kingdom, accept our praise and thanksgiving. Continue, we implore Thee, Thy protection of his Royal Person. Shield him from the arrow that flieth by day, and from the pestilence that walketh in darkness; from the secret designs of treason, and from the madness of the People. A sinful Nation. The madness of the People. Who are the People, it was demanded, and why should they, slandered for being mad and treasonous, give thanks that Prinny survived? 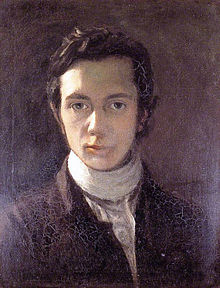 These sentiments were masterfully uttered by William Hazlitt (1778 – 1830) a man of many talents, including art and literary criticism. He had been a contributor to Jeffrey’s Edinburgh Review and his published commentaries on English literature made him a favorite of Leigh Hunt. This entry was posted in Regency, Uncategorized and tagged Blackwood's Magazine, Edinburgh Review, Francis Jeffrey, Prince Regent assassination, Robert Southey, Thanksgiving prayer, William Hazlitt by Angelyn. Bookmark the permalink.